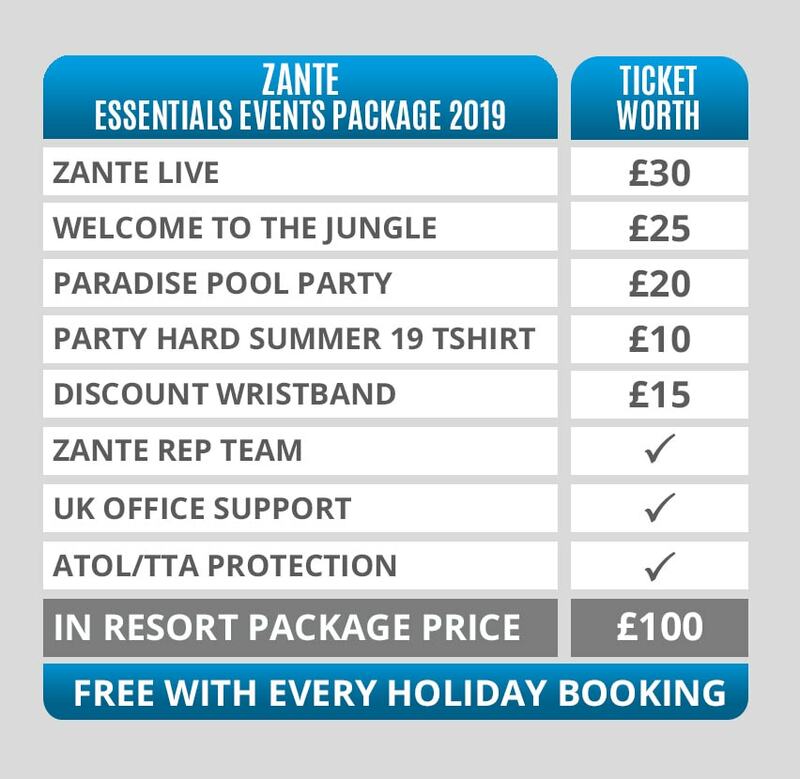 Perkes Hotel is close to the top of Laganas Road, the closest beach is roughly a 20-minute walk and a 15-minute walk to the centre of the famous Zante Strip. If you don’t think your feet can carry you back after a long night Partying hard on the strip you can get a Taxi back for around €7. In terms of Partying Hard our in-resort brand ambassadors will be on hand to make sure you have everything you need to have the best week of your lives! The nearest shopping facilities are located 150m from the hotel (around a 5-minute walk). The closest bars and restaurants can be reached within 80m from the hotel (couple of minutes’ walk). Wifi and a safe are available at an extra charge from the 24 hour reception. Rooms feature air conditioning, a fridge and a TV. Check-in from 14:00, check-out until 11:00, most popular facilities within the hotel include, bar, pool, restaurant, and snack bar. For other sports and leisure see below: Additional fees may apply for certain facilities, amenities or activities. Some services depend on the local climatic conditions and the season. Languages spoken: English. In this hotel credit cards are not accepted. Please note, like almost all party hotels abroad, a conditional, returnable room deposit may be required on arrival (no more than €50pp).